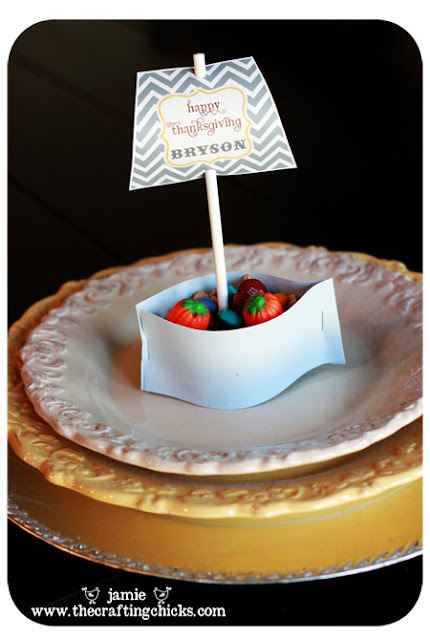 Jamie created these fun printable place cards for Thanksgiving that look like cute Mayflower ships and you can have them for your Thanksgiving table too. Just head over to The Crafting Chicks and download them for free. There are a few other Mayflower place cards and centerpieces from last year that you can see HERE.